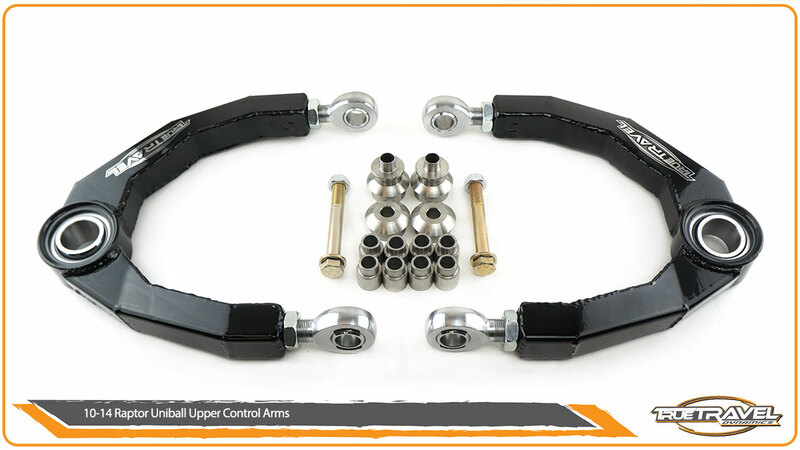 The True Travel Dynamics uniball upper control arms (UCAs) are stronger than stock arms and are 100% bolt-on. 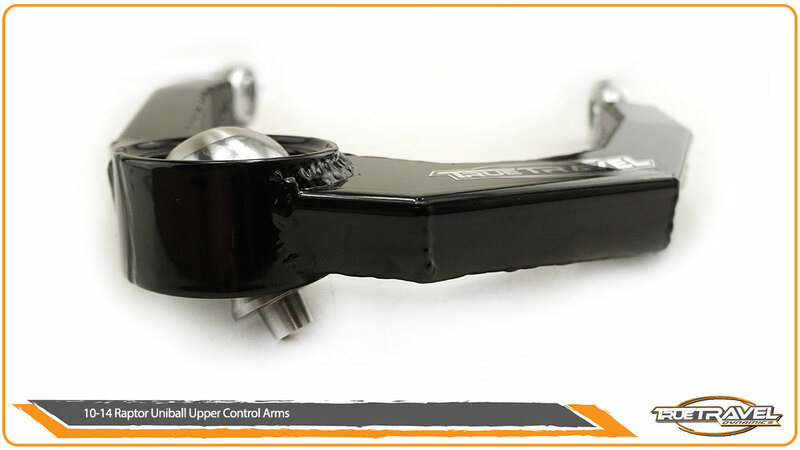 Our boxed design increases the overall strength of the arm, and they utilize an industry leading 1.5″ uniball instead of ball joints for more articulation. Our stainless steel tapered misalignment spacers allow you to bolt them to the factory spindle with no modifications. Adding even more to the strength and durability of our UCAs is how they mount to the factory frame. We use 7/8″ heim joints (or rod ends) with custom stainless steel spacers instead of bushings so there is no deflection. 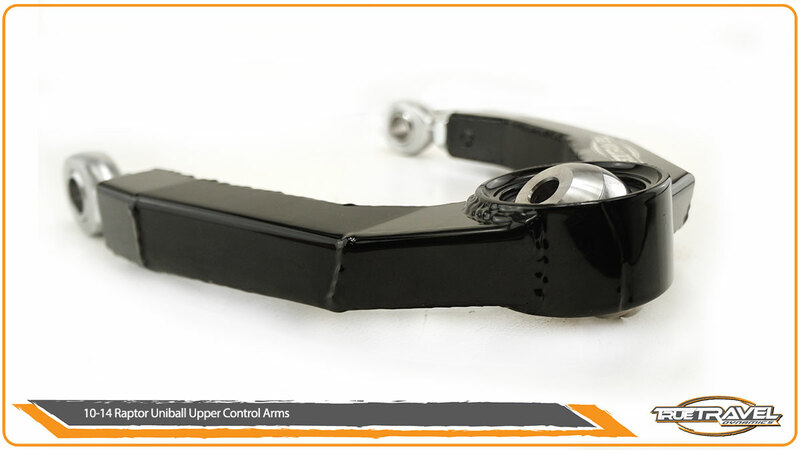 These upper control arms are perfect for anyone looking to upgrade their Raptor. 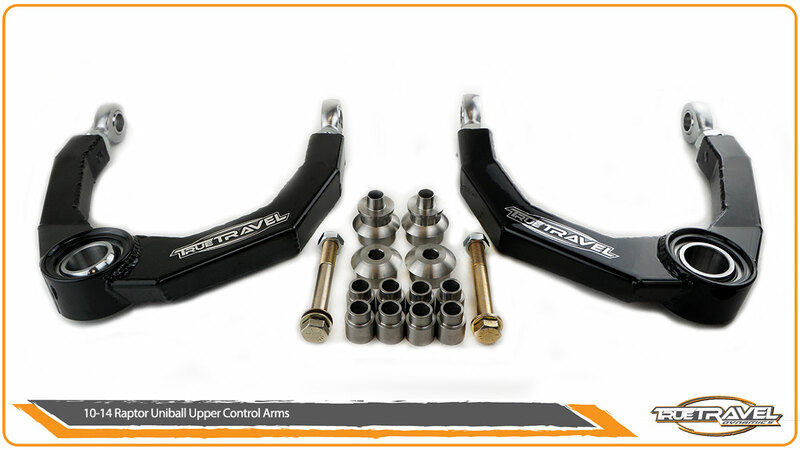 Don’t be limited by your factory upper control arms, get the performance you expect from your Raptor with a set of True Travel Dynamics Boxed Uniball Upper Control Arms!! !